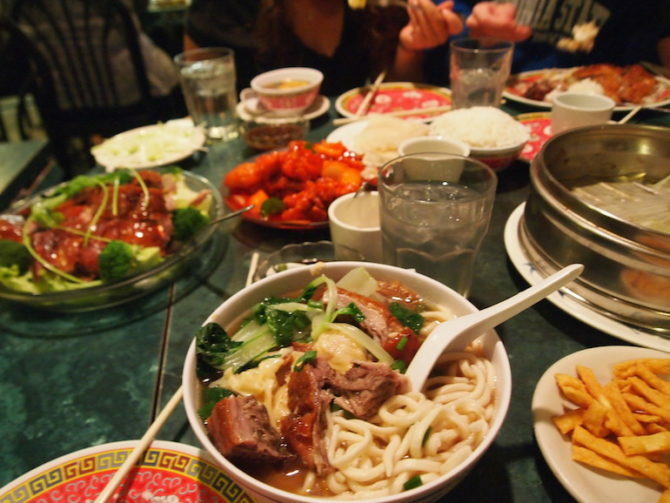 Why you should go to one of Chinatown's last Chinese restaurants. If you ever find yourself in Washington, DC’s Chinatown, then you might notice that while many signs are in Mandarin, there are not many Chinese restaurants or trademarks of a decent Chinatown. But there is still Chinatown Express at the corner of 6th St NW and H St NW. 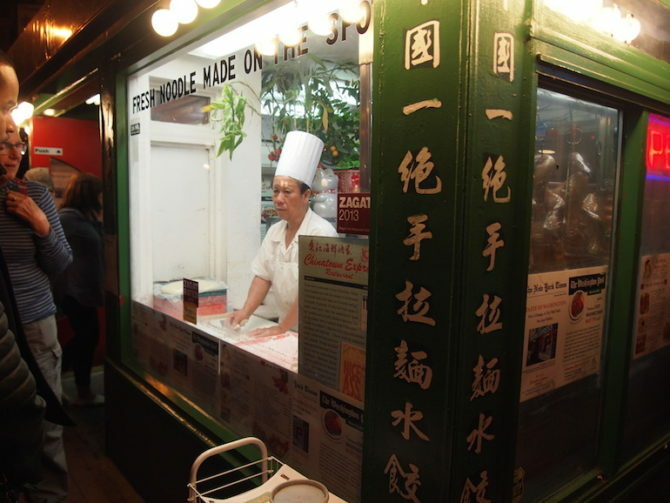 When you walk past this unassuming restaurant, you can see the chefs making noodles and Peking ducks in the window. 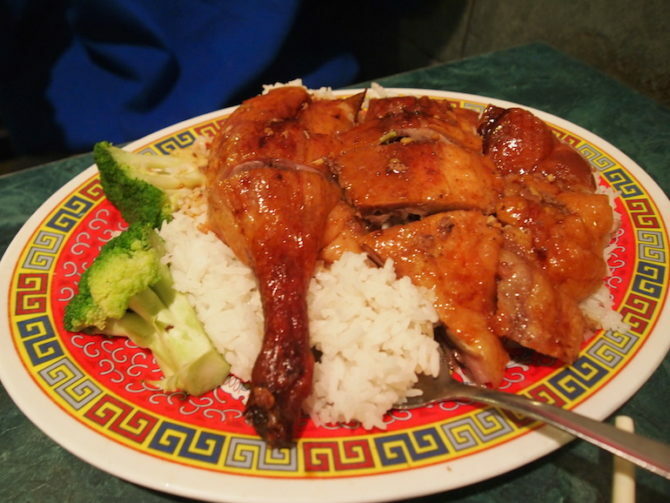 At Chinatown Express you can get a lot of amazing food for not a lot of money. For instance, this meal (that fed 4 people) cost around $45 ($11.25 per person). That’s not bad for a DC restaurant. Every time I go, I have to get their pork dumplings. They are little steamed pillows of goodness filled with pork and veggies. 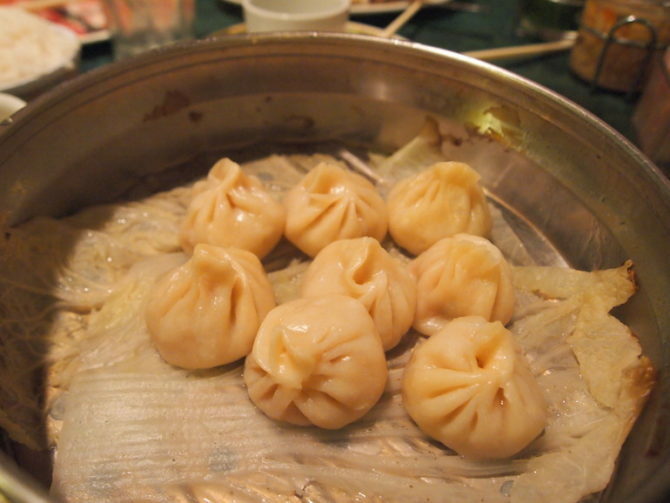 If you can’t make it to a restaurant for some dumplings, then make your own with this recipe. 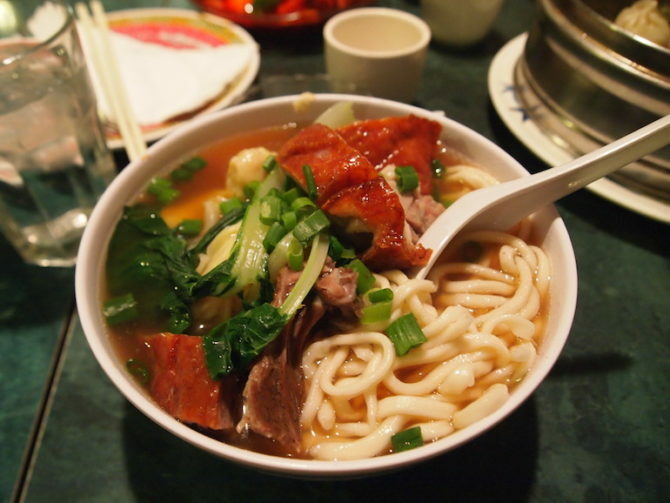 Their most famous dish (named one of The Washington Post’s must try dishes of 2013) is their fresh noodle soup with roast duck. While it is a great bowl of soup that will warm you up on a cool evening, it is, however, difficult to get the duck off the bone without a knife. It’s a trick that I have yet to master. My friends got their favorite Chinese dishes: Peking Duck, hot and sour soup and General Tsao’s chicken. And here is our table ladened with the family-style dishes (one of the hallmarks of an authentic Chinese restaurant). 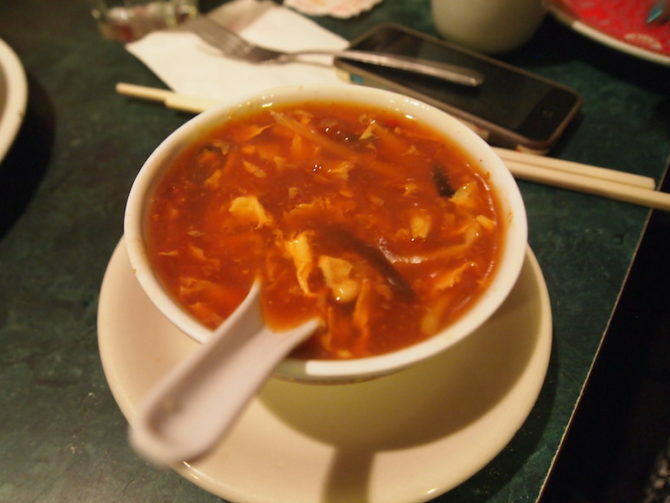 Chinatown Express is important to DC culture and food scenes because it represents the bygone DC Chinese community. Walking around Chinatown, you will find Fuddruckers, Nandos, Starbucks and more American restaurants. 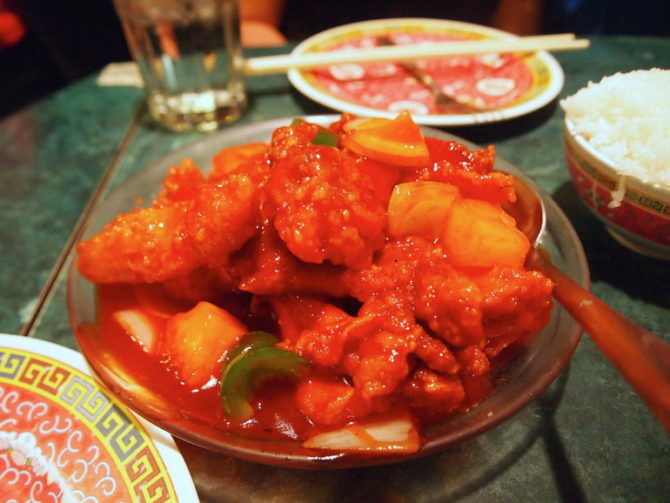 Chinatown Express is the shining beacon of authentic and delicious Chinese food in Chinatown.